Patanjali Ayurved Limited has been transforming the field of health and wellness industry in India since its advent in the market. The company was initiated in 2006 with the sole aim to cater absolute natural products in all aspects to the Indian and International market. From the financial reports, the FMCG concern of this fast moving Indian brand has already crossed INR 5000 Crore in financial year 2016. The manufacturing units are located in Haridwar Industrial Area. The herbs are cultivated in Nepal under Nepal Gramudhyog. The majority of the herbs volume is imported from Nepal in order to produce herbal medications and other FMCG products. This brand is aiming to reach every corner of India by introducing franchising options for the businessmen and startup enthusiasts. There are many products in its infirmary that belong to nutrition, supplement, grocery, ayurvedic medicine, home care (dish wash, incense sticks, herbal gulal), personal care (products for skin, hair, eye, body, dental, and toiletries), etc. The growth rate has a huge appeal in the market as the Indian population is readily accepting it as a part of their lives. As per speculations, the invested amount does not take much time to generate revenue. The statistical analysis suggests that only ‘ghee’ has the capability of generating more than INR 1000 Crore revenue. The brand is aiming to provide more than 10,000 franchises in India by the year 2017. As per its expectation, the ROI will be generated within 2 to 3 years of the initiation of the business depending on the area and local population. There are many options regarding the franchising option of the brand. If you need help, you can easily contact the support team via the ‘Contact Us’ page on its website. The team will respond soon and get in touch with you to answer your queries and educate you regarding the franchise options suitable for you. 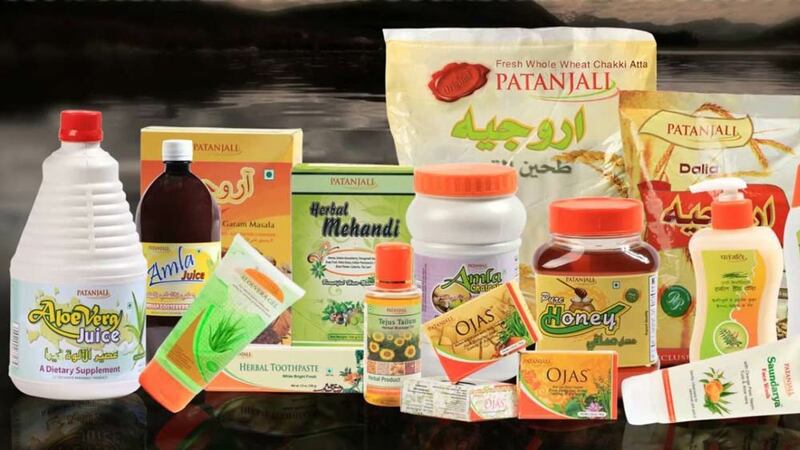 If you are looking for Patanjali Chikitsalaya franchise then you have to visit the website and find the respective section to apply for the option. The franchise details can be availed with the aid of the support team, as mentioned earlier. This address will have a query section where you can express your keen interest for the franchising option. If you are not familiar with the franchise types or want to know more in details, you can always use the feedback section to learn more. You can send a query mail and wait for the support team to respond. The management team will respond promptly to answer all your queries and assist you to get a franchise. There are a lot of options that you can choose easily with the aid of the company and its excellent customer support department. All you need for a franchise is an estimated area ranging from 300 square feet to 2000 square feet. As per the size of the franchise, an estimated investment of INR 7 Lakh to 70 Lakh is required. Due to its impressive business tactics and benevolent venture to bring Ayurvedic bliss in everyone’s life, the company has become the fastest growing FMCG name in the market. Patanjali offers almost 20% product benefit on the cost as there is no middlemen involved in the production and supply chain. The growing reputation of the brand will automatically take your venture to a growing level every year. The acceptance rate of the products in the urban and rural population is much higher than any other FMCG brands in India. This ensures great future for the franchising option with Patanjali.